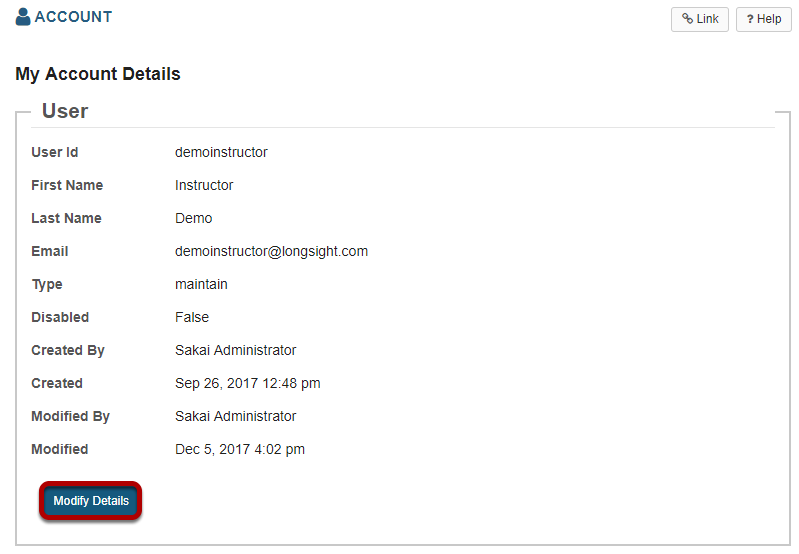 Sakai Community DocumentationSakai 19 User Guide (English) HomeHow do I view and edit my account details? Click on the Account link in your Home Tools Menu. You may change any of the editable fields on this page. The password fields always appear blank upon accessing this screen. You must enter your current password in order to save any changes. You may change your Sakai password by entering your current and new passwords in the fields provided. (Leave the "new" password fields blank to keep your current password. ) Changing your password here will change it for all of your sites on this system. Once you have entered your changes, select the Update Details button to save the change and return to Home. Note: Your Sakai User Id cannot be changed. 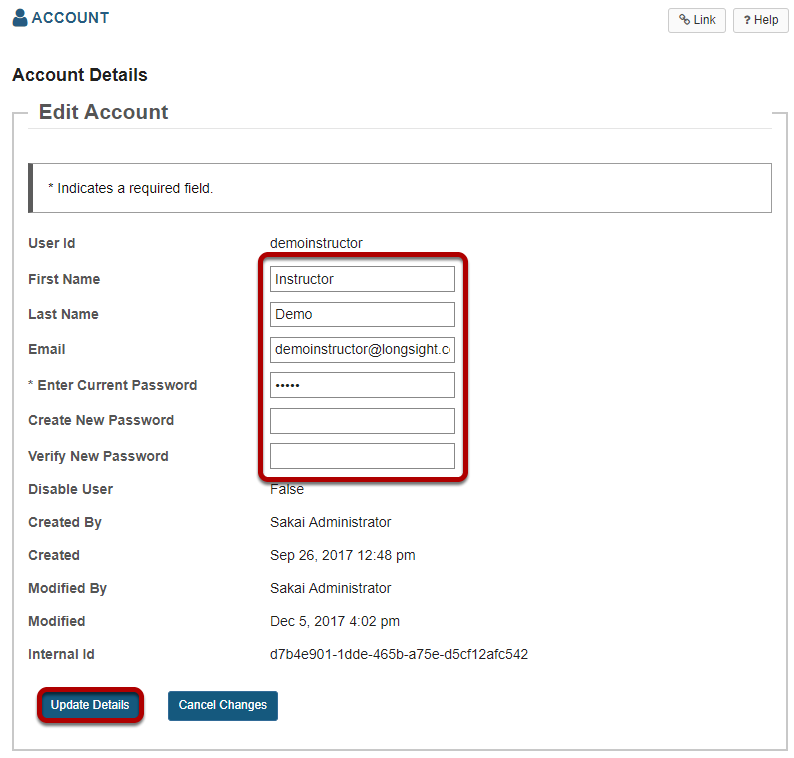 Your User Id can only be modified by a Sakai Administrator at your institution.